The staff at The Castlewood Senior Living was rude. It was very large, nicer, and had a big dining area and fancy menu. It had a theater room, an exercise room, and a salon. The best way to get to know a community is by scheduling a tour. See the facilities, meet the staff and residents, and get a feel first hand what it's like to live at The Castlewood Senior Living Assisted Living. 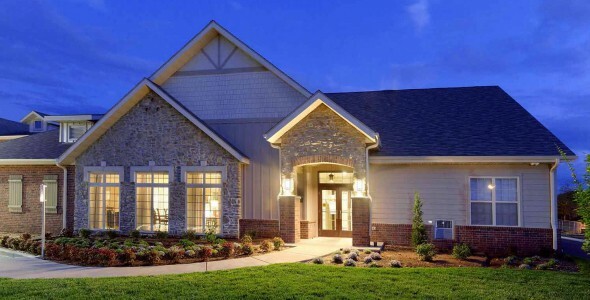 The Castlewood is a senior living center that specializes in the encouragement of independence for its residents. We offer a range of services and amenities that allow our residents to continue to remain independent, with the reassurance of on-site help when needed. Residents of The Castlewood Senior Living are welcome to enjoy an array of convenient services and amenities each and every day, including the highly successful all-day dining program. Our onsite staff provides an attentive and professional demeanor, guaranteeing that each tenant feels comfortable and important. Stimulation of the mind, body, and soul are high priorities at The Castlewood Senior Living community. We welcome residents to take part in events and activities such as bridge, yoga, and Bible study. A focus is placed on fitness to ensure that inhabitants maintain their independence. With the many options we provide, there is something for anyone that calls The Castlewood home. The Independent Living Lodge is composed of 51 spacious apartments on three floors with two centrally located elevators. Featuring one and two bedroom units, each boasts a full kitchen and washer/dryer. The community area of the lodge contains engaging common areas to encourage social and active lifestyle. With a plethora of options, there is no shortage of things to keep you active and entertained. Residents can indulge in cinema favorites at the theater, get to know their neighbors in the social lounge, learn a new recipe in the country kitchen, indoor pool, and even host family parties in the private dining room. The Castlewood even has its very own salon! Whether you enjoy a massage, a manicure, a new hairstyle, or all three, the staff at the salon is ready to cater to your needs. Assisted Living will offer affordably priced, private apartments for seniors requiring hands on personal care services. Services within this building will meet the needs of physically frail seniors and will provide a higher level of care for those unable to make a pathway to safety. State-of-the-art technology will be installed to provide passive monitoring of adverse events such as falls, changes in sleeping behaviors as well as predictive analysis to help prevent falls and much more! Such investment in proactive monitoring will equip all residents and their loved ones to be as proactive as they choose to be about monitoring their care. The Memory Care cottage is designed for the safety and comfort of cognitively impaired residents. Walk-in showers, height-appropriate fixtures such as toilets and sinks, and locking cabinets protect residents from harm. The commons area will feature an open design, including dining room and living room, and will feature Life Stations, which will allow for purposeful wandering. Each Life Station is designed to engage through triggering memories of tasks ingrained throughout their life. For instance, Life Stations include an infant nursery for care and nurturing, wardrobe to promote grooming habits, and work station for a sense of purpose and accomplishment. Between the two Memory Care hallways, an enclosed courtyard provides fresh air and interaction with the outdoors without risk of elopement. The courtyard is adorned with attractively designed raised planters that guide the walkways and allow for residents to interact with the plantings and green space. A wellness station will provide a hub for care partners and nurses to conduct care updates and paperwork. Residents who need a calm, soothing atmosphere can sit in the quiet sitting room. There will also be a small salon so residents can receive one-on-one special attention in a familiar environment.The whirlpool/spa room provides ease of bathing for residents with physical disabilities and helps with circulation. Residents whose dementia has created a fear of water often find the spa a less alarming place than a shower, greatly easing their anxiety and the time a care partner must spend in providing a bath. Technology from other Missouri companies, SmartCare and Foresite, will be installed to provide passive monitoring of adverse events such as falls, changes in sleeping behaviors, appliances left on, and presence of water on the floor. Such investment in proactive monitoring will equip all residents and their loved ones to be as proactive as they choose to be about monitoring their care. Thank you for your interest at The Castlewood Senior Living. Please give us a call to schedule a free tour.